When people ask me what I’ve been up to lately I usually answer “building stuff,” but going into what, exactly, I’m building takes a bit of explanation – particularly if you’re not big into the vintage analogue synth scene. Today I’m going to attempt to explain in a manner that won’t put people who aren’t synth nerds into a deep glaze. After having constructed about half a dozen DIY synth modules from kits, plus a couple of Arduino and Teensy projects, I decided I was ready to tackle something a little larger. It was around this time – late 2016 – that The Human Comparator announced a third run of his TTSH circuit boards and panels. The announcement came as a bit of a surprise, because the word on the street was that the previous run was to have been the last, forever. And so in spite of my feeling that the TTSH was a little more than I could handle as a self-described board-stuffer, I ponied up about $650 CAD to order a set for myself (knowing at the time that parts would be at least that much again). I wouldn’t forgive myself if I let it slip away. TTSH stands for Two Thousand Six Hundred – the model number of a legendary and now rare analogue synth produced by ARP Instruments in the 1970s. 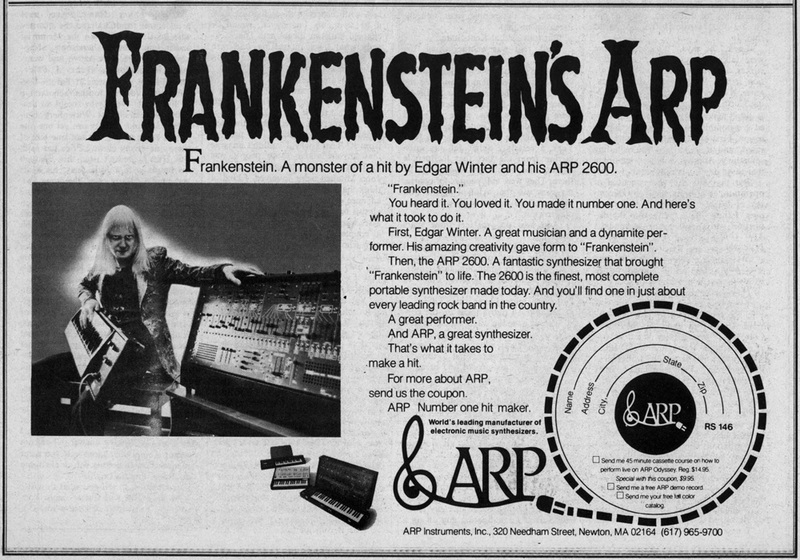 The ARP 2600 has been largely overshadowed in the public consciousness by its primary competitor, the recently re-issued Minimoog, though for a time in the 1970s ARP had a 40% share of the synth market, greater than that of R. A. Moog lnc. So while you may not be familiar with the model name, you have almost certainly heard the sounds it created. I think the first time I heard one was on Edgar Winter’s Frankenstein (1973), but it was also a favourite of Joe Zawinul’s (he had two), and was used to create R2-D2’s “voice” in the original Star Wars trilogy. Other notable owners include Jean Michel Jarre, BT, Rick Wakeman, Stevie Wonder, Vince Clark… it’s a long list. 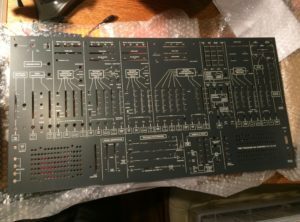 The ARP 2500, much larger and slightly older sibling of the 2600, was used to communicate with the aliens in Close Encounters of the Third Kind. 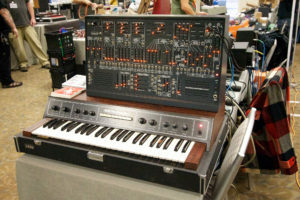 The 2600 is a semi-modular synth, which means it can be programmed or “patched” with cables to connect its various components, though it is largely self-contained – a keyboard and optional sequencer were separate pieces. A typical signal path is pre-wired under the hood, so that unlike a fully modular synthesizer it can make a variety of sounds without any patch cables inserted. Like the Minimoog, it was a 3-oscillator subtractive monosynth, but it had a few unique features. It featured a built-in spring reverb and speakers, an envelope follower for external processing, and a very clean layout that made it a popular choice for schools and universities (where I first got my hands on one in the 1980s). A duophonic keyboard was introduced in 1974, allowing the performer to play two notes at once. And it comes as a kit? Not exactly. 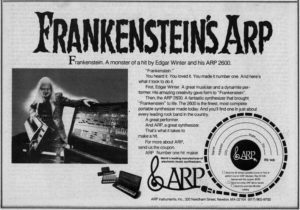 Back in January 2013 a conversation started up on the MuffWiggler forum about reissues of vintage synthesizers, and how cool it would be if someone decided to reissue the 2600, which had been out of production since the early 1980s (around the time that ARP Instruments went under). They can occasionally be found used, but prices are prohibitive – $10,000 CAD is about the going rate on Ebay. An industrious poster from Sweden, no stranger to resurrecting older instruments in DIY format, took up the challenge and had a prototype panel (the visible front panel with the screen printing and holes for sliders and jacks) and PCB (printed circuit board that the electrical components get soldered onto) set populated and working by March of the same year. I suspect there are some interesting and aggravating stories in the forum threads that document the first two production runs, but I’m waiting until some week when I’m bedridden with an incapacitating illness to read through them. They did indeed go into production, and I first ran into them in the wild at Knobcon 3 in 2014. The finished product is about three-quarter size (compared to the original), with the most notable upgrade being LED-tipped sliding potentiometers. They look really cool. But to answer my question, it does not come as a kit. It comes as a bunch of PCBs and the panel, and a list of parts. The parts you source yourself; it is impossible to find them all from one supplier, and, as I discovered, it is impossible to find all the parts in stock, at one time, at any combination of retailers around the world – at least not by the time I got around to placing my order. The reverb tank came from Germany. Some particularly rare parts were collected and packaged by Thonk in the UK. The cabinet for mine will be constructed by a friend here in town. This is another question I get asked a lot, but due to the number of back-ordered components I am just getting started now, in spite of having had the panels since January. I now have most of the parts, certainly enough to get going, and the balance of the order is expected by the first week of April. This weekend I’ll be embarking on the last step before assembly commences, which involves the mystical art of transistor matching. Stay tuned.